Comprising of Josh White, Matt Lowe on production, and Jeff Crake on vocals, Hybrid Minds represent a new musical force, with their melodic, soulful Drum and Bass already making waves across the globe. A synergy between influences including trip-hip, acoustic, soul and jazz, Hybrid Minds, consisting of Sensa, Haste and Grimm, draw on a myriad of influences to produce the smooth sound they are known for. Josh and Matt had worked with one another for a few years running record labels before deciding to put their drive into music making. After only a few joint efforts, the duo immediately shot to the forefront of the Liquid scene, with household names such as Netsky, Lenzman, Marcus Intalex, Logistics, John B and Camo & Krooked all playing liquid tracks from the newly formed duo. Their method of bouncing ideas off each other in the studio yielded immediate results with one of their first tracks, ‘The Place’ becoming one of the biggest liquid tracks of 2011, and receiving vast amounts of love from the UKF fans, a market they did not expect to reach. Combining hard drums, delicate vocals and enchanting melodies, ‘The Place’ features all the elements that now make up Hybrid Minds’ distinctive, soulful sound. After the unprecedented success of ‘The Place’, Sensa and Haste made the permanent jump to liquid, to the delight of millions of Drum and Bass fans, and began to look for a permanent vocalist. 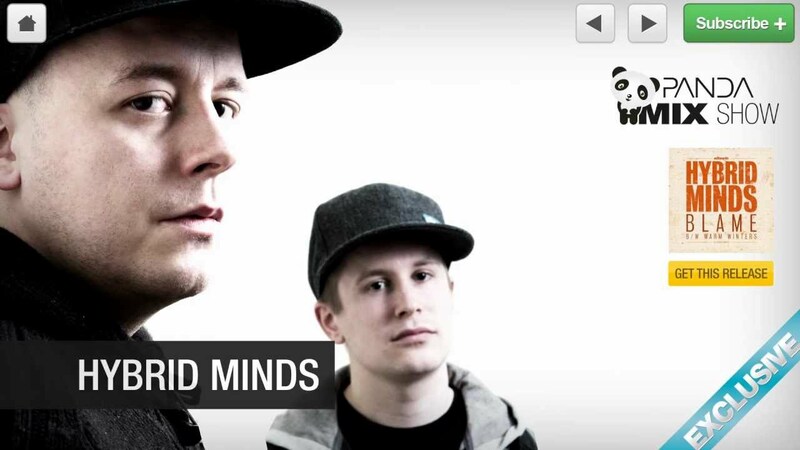 That search ended in the discovery of Grimm, a vocalist and drum and bass producer from Canada, thus Hybrid Minds was formed. With a host of releases set for 2012, beginning with their self-titled debut EP on Audioporn including the tracks: ‘I’m Through’, ‘Real Life’, ‘Lost' and , ‘Tides [feat Shimon]' Hybrid Minds are now set to solidify their rapidly growing reputation in the scene, and become one of liquid’s new supergroups.